Mushy2008-2014: Oh hey...and look what came in the mail. Oh hey...and look what came in the mail. This thing called summer is keeping me busy. I've been back from my trip a while ago. We had so much fun and I didn't want to come back. Pictures are coming soon, just need to sort through the 700 and something of them that I took. After we came home, we headed back to Edmonton right away so Darcy could take this course for his CTS(career and technology studies) training. I got to spend time with family and friends and even got to see the new Art Gallery of Alberta. The building is absolutely gorgeous and the M.C. Escher exhibit is so inspiring. A must see! So back home in Plamondon now with tons of things on our to do list. First thing is to finish our staircase then turning our side room, a.k.a my sewing/craft room, into a garage. (ACK! where am I going to put all my stuff!!) And replacing the old windows in there too. Putting rods and shelving in our bedroom closet. Fixing and finishing odds and ends throughout our house. Amongst all this I'm part of this community quilting project, which I'll talk more about in later posts, that needs to be finish by September. BAAAA!<--My stress release sound. Ha ha. 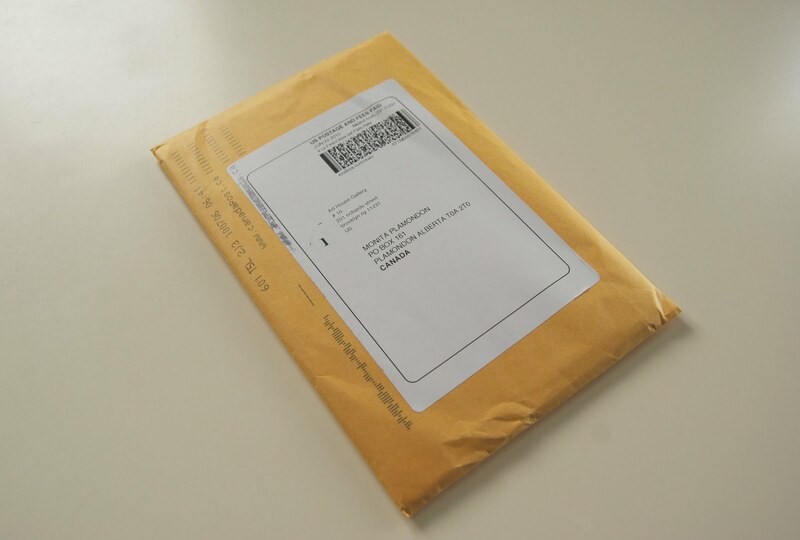 A couple days ago I received this package in the mail. From Art House Gallery, Brooklyn, NY?? 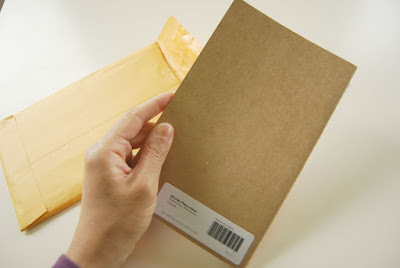 I opened it and realized it's the sketchbook from The Sketchbook Project I'm participating in. Yay! My name and my barcode on the back of the sketchbook. 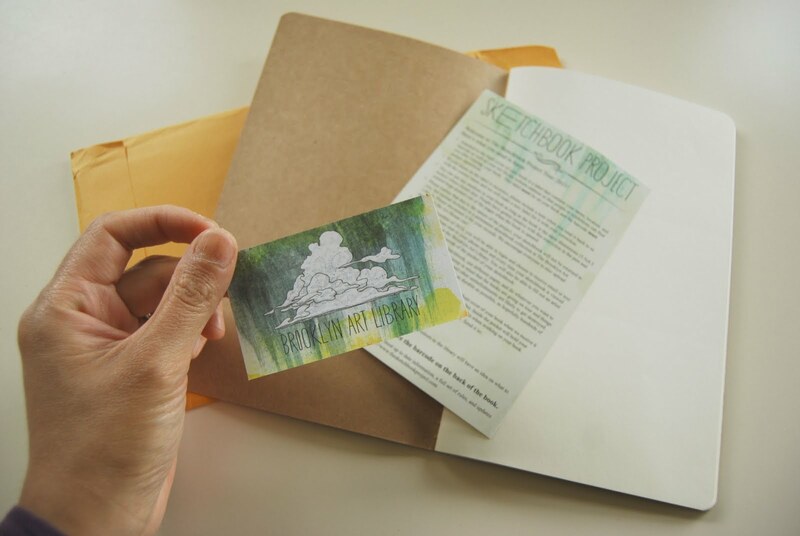 My very own Brooklyn Art Library card and the list of instructions. Thanks so much Ellen for letting me know about this Project. Anyone can participate and it's not too late. Deadline is Oct 31st, 2010. Your sketchbook will be exhibited at galleries and museums as they make their way on tour across the United States. 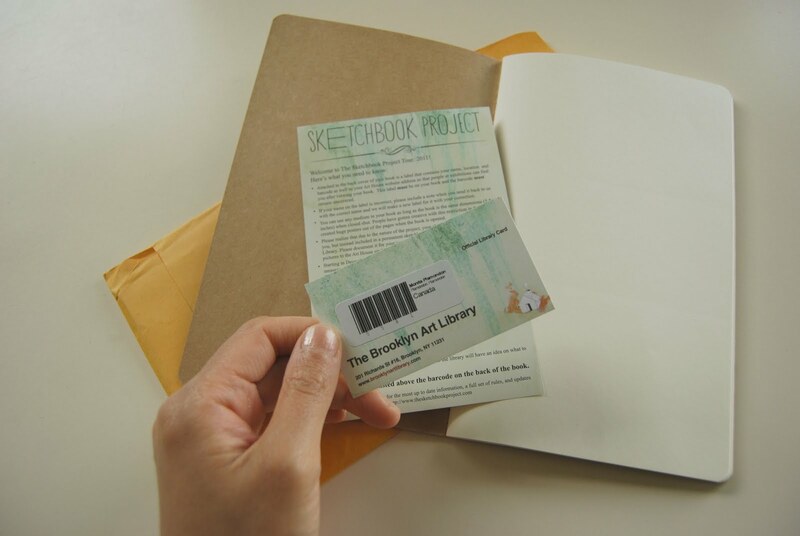 After the tour, all sketchbooks will enter into the permanent collection of The Brooklyn Art Library. What a fantastic idea! Just wish they would tour in Canada.